YouTube is the world's largest video network and the third most trafficked website in the world. Next to Facebook and Google, YouTube is the third most trafficked website in the world. To demonstrate, YouTube Downloader created an infographic outlining what happens on the world’s biggest video network in a single minute. 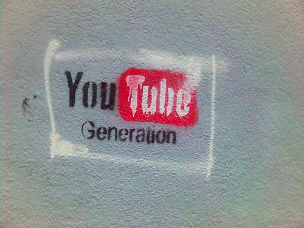 More than 100 hours of video are uploaded every minute, meaning that YouTube’s content ID system has to work overtime. It scans the equivalent of more than 400 years of video a day — that’s 146,000 hours of video a minute, and sometimes the system might be a little overzealous. The volume of content uploads are not wasted, there are over 1,388 subscriptions a minute. The environment is competitive for channels, but there is a lot of money to be made. Pewdiepie is ranked highest, with over 3.7 billion views, which generate an estimated $13.31 per minute. Bluexephos earns an estimated $6.7 million per year, at around $12.74 per minute. It’s also interesting to note that four of the top 10 channels are gaming channels. Still, YouTube itself is the biggest winner when it comes to revenue. In 2013, YouTube generated $5.6 billion in revenue, which means the company makes an estimated $10,654.49 every single minute by serving ads to the video hungry public. To see how the rest of the top ten channels break down in earnings, view the infographic below.